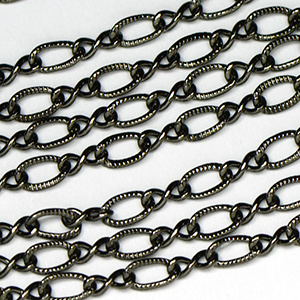 This is a classic figaro chain with a textured link. Use for delicate bracelets, chain earrings or layered necklaces. Made and plated in the USA! Chain is sold by the foot and the more you buy the more you save.